In Mind, body and soul Chakra – Chakra 4 is the Chakra where one’s self esteem as well as the control around and within one’s life rests.This raga is rich in prayogas that generate a state of well being or sowkhya bhava, decreases stress and tension, and induce peace and tranquility of mind. This is a sarva swara gamaka vaika rakthi raga. Pratyahata Gamakam (SN ND DP PM ..) lends colour to the raga. Gowri manohari is a Tri-stayi raga. The raga is very beautiful in all the sthayis.This raga expresses a feeling of proclamation or a raga that makes a statement.Swaras of Gowrimanohari undergo melodic gamaka when rendered with imagination. This is a bhava rich melodious raga.The sacred hymns Tevaram sung by Oduvars use this raga in abundance. Murcchanakaraka Mela Raga : R, M and P through Graha Bhedam will Yield Natakapriya (10th mela), Vachaspathi (64th mela) and Charukesi(26th mela) respectively. P, pm mg gr r,,- rgmpdns- dns,,- sn nd dp pm mg gr r- gmpdn – SRGR,,RGMGRS- SRGRSN dnSSnd-pmgrsr-rpmgr- srgrs- sndnsr.. There are numerous compositions in Gowrimanohari. Sri Lakshman Ragde has estimated 134 carnatic krithis in this raga. Undoubtedly the famous composition Guruleka etuvanti by Saint Tyagaraja takes the first place.Both melodic and rhythmic contents are well balanced and the madhyamakala pace induces a unique thrill. The song Gowrimanohara by Papanasam Sivan is very soulful with mesmerizing melody. Dr.Balamuralikrishna’s composition Smarare is a majestic Gowrimanohari.The raga has wide expanse and is open for elaborate alapana. The krithi can be handled as a major item in a concert. In the krithi Guruleka Eduvanti, Tyagaraja has emphasised on the significance and importance of a mentor (Sadguru) in the success of life. The spiritual illumination won through the guru can counter the mental anguish caused by the attachment to wife and family – thanuvu, suta, dhana, dhaara, dhaayaadhi and bhaandavulu. According to Tyagaraja one can attain the state of pure mind and satvika bhava by the removal of ignorance in the mind. Only with the help of a Guru’s guidance this is possible. Thus this raga is aptly chosen by Tyagaraja to enlighten us that nobody can succeed without a guru’s grace. The Guru Gita (verse 17) aptly describes the guru as “dispeller of darkness” (from gu, “darkness” and ru, “that which dispels”). So the literal meaning of the word Guru is one who eliminates darkness or one who enlightens.Guru is described as one without whom a meritorious person of any caliber remains in the dark. Guru clears the pollution of the mind. In association with a sishya, the Guru comes to know of the weak and strong points of his disciple. The strong points of the student would be highlighted and encouraged and the weak points would be carefully strengthened.Guru touches the mind of a student and transforms an illiterate into a scholar. This is a popular raga in the filmy spectrum.When Gowrimanohari is mentioned, the song that comes to my mind is the evergreen hit Paattum Naane in the film Thiruvilayaadal sung by the immortal T.M.Soundararajan. Who can sing this with such bhava other than the legend himself ? One never gets bored even if the song is repeatedly heard or watched for quite a number of times. This famous song stars Nadigar Thilagam Sivaji Ganesan(another legendary actor par excellence) who acts as Lord Parameswara. Listen to the lyrics. It starts “Paattum Naane Bhaavavum Naane”…. which is a statement/proclamation by Lord Siva that HE is Nada and HE is the Bhava. The music director K.V.Mahadevan has brought out the melodic entity of this beautiful song with all the signature phrases and prayogas in this raga.Or it can be said that this song is an encyclopedia or primer about this raga-Gowrimanohari. The music is an all time favourite and ever green hit. That is the sort of effect K V Mahadevan leaves behind. I think this is one of the favourite ragas of Isaijnani Illayaraja. He has composed numerous songs in this raga which are high in melodic content and brings out the raga swaroopa quite well. Tamizh translation of’Gurlekha etuvanti’ was used in ‘Moga muLL’. No matter how virtuous one is, without a preceptor, it is not possible for him to know. No matter how virtuous one is, without a competent preceptor, it is not possible for him to know to destroy the thorny thicket of affliction of the heart. 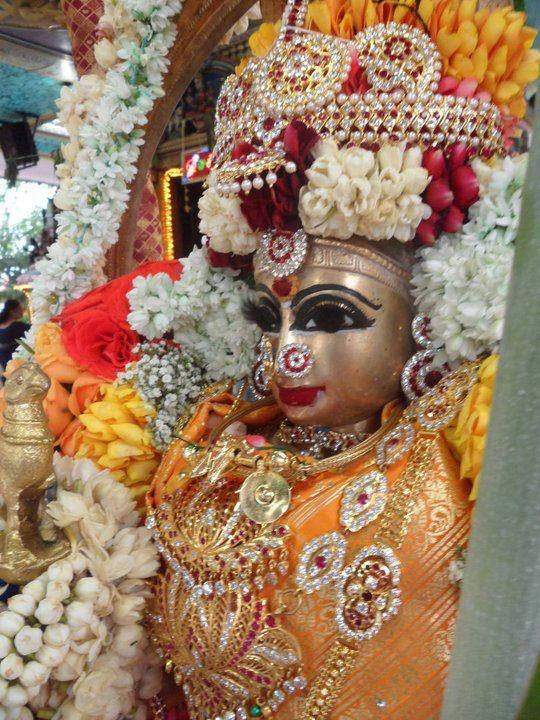 No matter how virtuous one is, it is not possible for him to know, without a preceptor like (sage nArada) – the benefactor of this tyAgarAja, who protects compassionately by imparting knowledge of the reality which is like a medicine, to keep away from the mind the grief of dissipation of body, children, wealth, wife, cousins and relatives after having attained these. Enjoy the Sparkling Gems of Gowrimanohari !! Thanks for continuing with your great work, madam Anuradha. Gurulekha is well known song and I never knew the alltime great Pattum Jnane is in this ragam. It is good that more and more people have started spreading the knowledge of carnatic music and sharing carnatic vocal and instrumental songs through their blogs. This blog tells that there are other manohari ragams like Isa Manohari, Budha Manohari, Deva Manohari , Saraswathi Manohari etc are rarely being heard. Thanks a lot for your effort coming with another raga with details. Anuradha Akka,namaskaram!I found your site extremely useful for singers and music lovers.Being a singer myself[Approved singer of A.I.R in ghazals&bhajans] I am grateful to you for this wonderful site.Thanks also for sharing God’s photos. Welcome to this musical abode. Happy to note that its useful for singers and musicians. Please keep visiting. Best Wishes. Thanks for your details. recently i heard a film song composed by great illayaja’s son. i heard it for around 100 times still going. it gives a soothing feel. i could compare the song’s feel with meera’s love towards lord krisha. somehow iam not able to get out from the feel. Can I get the krithis each raga wise thro some other means like DVD or pendirve etc? Very comprehensive information. Good work. Can you please provide the lyrics for ‘Pada malar paninden’ by Mangalam Ganapathy. Seerkazhi used to sing a song starting with Omkari Uma maheswari in this raga. Any help possible? Fantastic ,most lucid and correct discription of raag Gowrimanohari ;music maestro Naushad ..composed a classic gem song ..”anurag lola ghatari.in film DHAWNI malayalam sung beautifully by our legend Yashudas + surely this raag steals the heart..! !